If you would like to be connected with an LCS representative right away, Please enter your phone number including area code in the space below and click ONCE on the hand. It will take a few seconds and then you will be connected with one of our representatives. From QEW Toronto: Drive west on the QEW to Burloak Drive. Take Burloak Drive south and take the first right (Harvester Road) and we are on the right just before Syscon Road. From Niagara Falls: Take QEW past Hamilton to Burloak Drive. Take Burloak Drive south and take the first right (Harvester Road) and we are on the right just before Syscon Road. From Hamilton: Take Hwy 403 to QEW east and drive to Burloak Drive. Take Burloak Drive south and take the first right (Harvester Road) and we are on the right just before Syscon Road. From 401 Toronto: Drive west on 401 to Bronte Road. Take Bronte Road south to the QEW and then right (west) on the QEW to Burloak Drive. Take Burloak Drive south and take the first right (Harvester Road) and we are on the right just before Syscon Road. From 401 Kitchener / Cambridge: Take 401 to Hwy 6 south. Drive south towards Hamilton and go right (east) on 403. Take Hwy 403 to QEW east and drive to Burloak Drive. 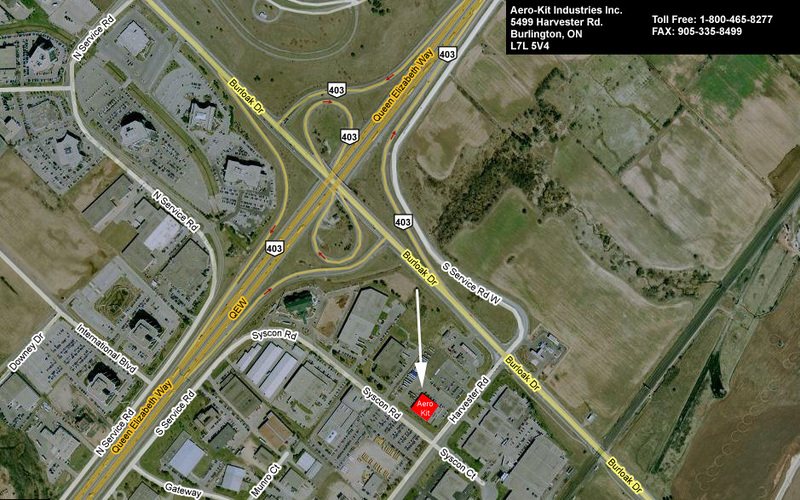 Take Burloak Drive south and take the first right (Harvester Road) and we are on the right just before Syscon Road.